Such a busy week at work this week!! 03:30 get ups and too much driving….someone asked me what I’d do first if I won the lotto………..I’d buy a farm, and on my farm I’d have alpaca, a coffee & cake shop and a country hotel…..with a spa……my hotel would be a retreat, where people could just come and knit or crochet for weeks on end………bliss…..anyway we can all have a dream! I’ve been busy but still managed to get some crochet in even though I’m literally dog tired. I’ve only got a few more rows of my last ripple blanket then that whole order is done! 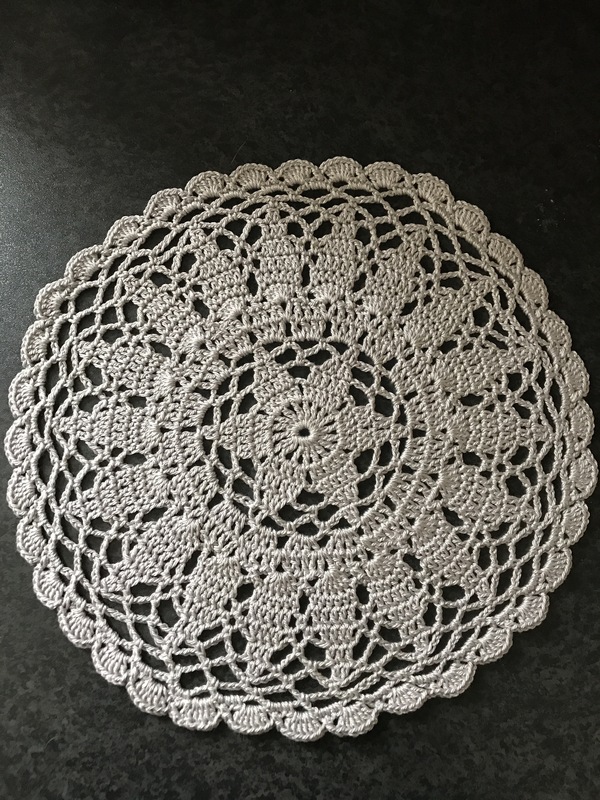 Mum asked me if I could make her something to put on a sideboard in her spare bedroom as she’s marked the top, she’s not a doily kind of person, so I went on the hunt for a mini mandala, I found on on hobbycraft blog!! Here’s the link Mandala it’s by a lady called Cathy crochet, her mandala pattern is so nice to do, and quite easy, but it was going to come out quite large, plus my mums spare room is very ‘white company’ so it’s all bright whites and greys, so I bought a nice grey cotton from hobbycraft DMC Petra, such a nice cotton and so much for your money! I did miss out about 6 rounds to get the size I wanted, and completed it all in one colour, i really like it and so does mum! Once I’ve finished my final ripple blanket I’m going to finish my lost in time shawl, then I’m going to make lots more! 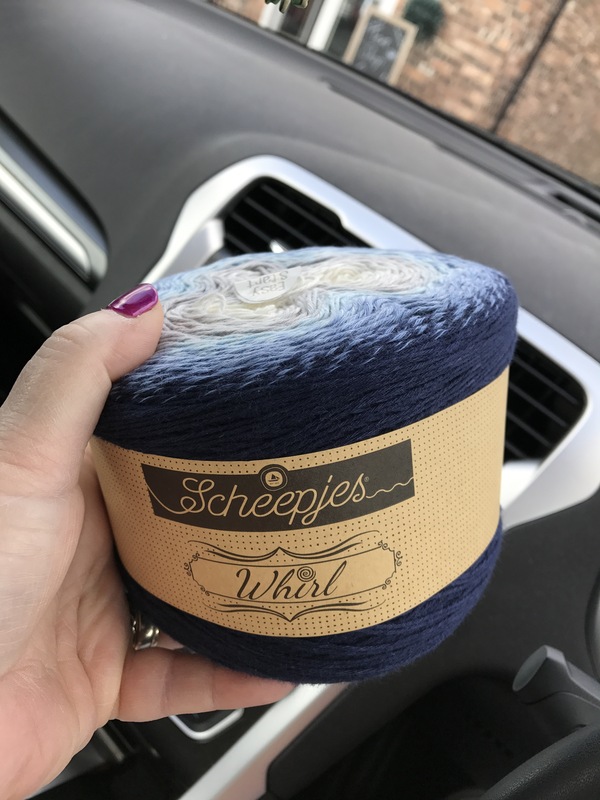 I saw a lost in time shawl made from scheepjes swirl and it looked amazing! 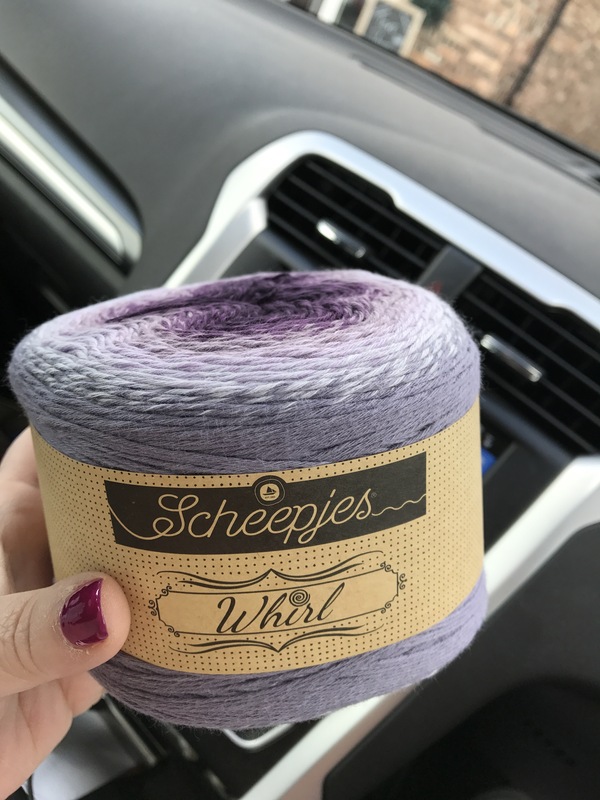 So I managed to get some from black sheep wools before they’d even gotten onto the shelf! How gorgeous are these colours!!! I’m looking forward to using them, they’re so soft and squishy. This morning I was thinking I could do with a break, well, frank and olive have a sale on day passes for their retreats, then I remembered that they have one tomorrow, so to cut a long story short we’ve cancelled our crochet group tomorrow, everyone’s on holiday anyway ha! And myself and @lyndascraftroom are treating ourselves to a day away in York at the frank & olive crochet retreat, and at half the price how could you not!!! I’m so excited!!!! So there you go, off for some shut eye. Crochet retreats sound wonderful! Have fun (and I’m so jealous!). Thank you! Even nicer when the pattern is free! You get that spa farm and I am going to book me a vacation! Sounds wonderful. Love that mandala doily. 😂 i know what you mean but they are even more beautiful when used. see here…. 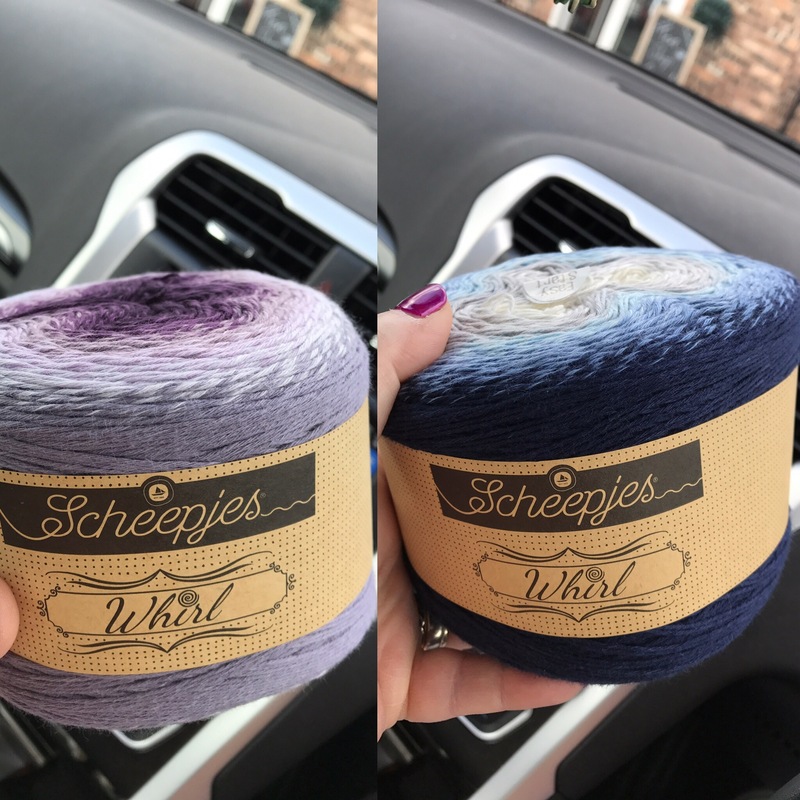 https://jo-creates.com/2017/06/27/liquorice-whirl-shawl-update/ and here https://jo-creates.com/2017/04/25/scheepjes-whirl-shawl/ 😊😊😊 do it do it!